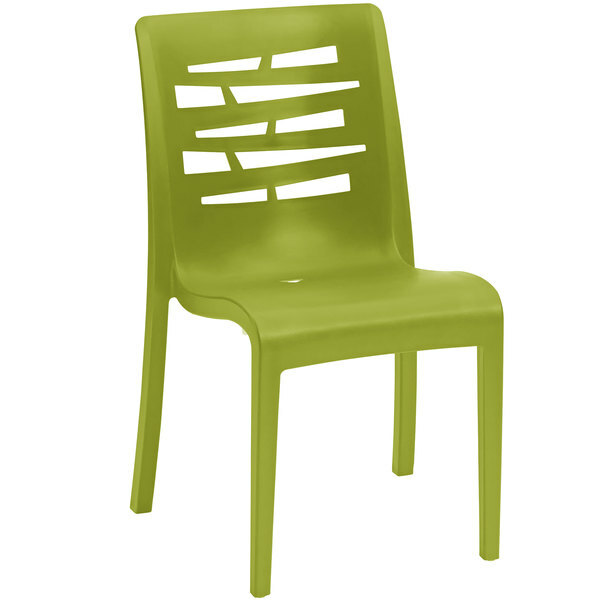 Thanks to its vibrant color and eye-catching back design, this Grosfillex US218152 Essenza fern green resin side chair is sure to add character to your restaurant or bistro. This chair's innovative technopolymer construction ensures it won't get hot in the sun, making it perfect for both indoor and outdoor dining areas. It also boasts an incorporated hole in the seat that helps prevent water from collecting, allowing it to dry fast after it rains.